Robotix has unveiled a new smart robot which has been designed to help children learn to code in a fun and entertaining way and is designed for children between the ages of 4 to 18 in a variety of options. Not only is the Phiro smart robot easy to program it is also compatible with the Lego bricks and Lego technical pieces enabling you to expand the functionality of the small robot device to build new projects and expand your knowledge even further. Watch the video below to learn more about the smart robot that can be programmed using the universally recognised Scratch 2.0 drag-and-drop programming platform. What basic skills do our kids need today, to succeed in the future? Just like reading, writing and arithmetic, problem solving and innovative thinking are essential 21st century life skills our kids need. Research shows that one of the most effective ways for kids to learn problem solving is through coding & robotics. Phiro is a robotics & coding platform that teaches problem solving and computational thinking, basic skills required for the next generation. With Phiro, kids can become artists, engineers, economists, astronomers or anything they want. 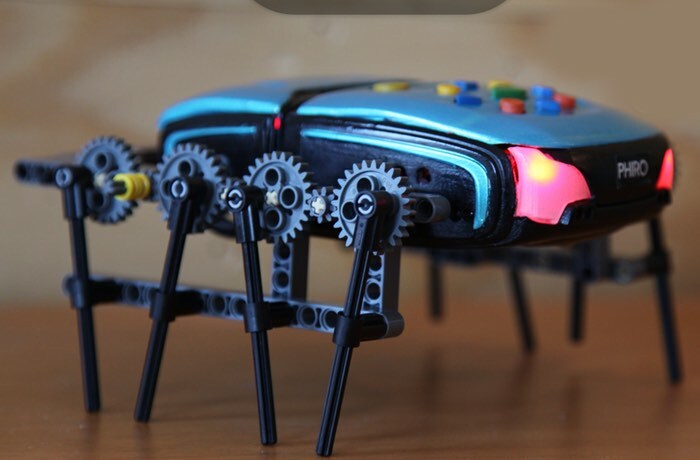 Jump over to the Kickstarter website to make a pledge from $79 to be one of the 1st to get your hands on this new smart robot designed to help children enter the world of coding and robotics via the link below.